Three people were wounded in a shooting inside a restaurant in the 800-block of West Jackson Boulevard Saturday morning. 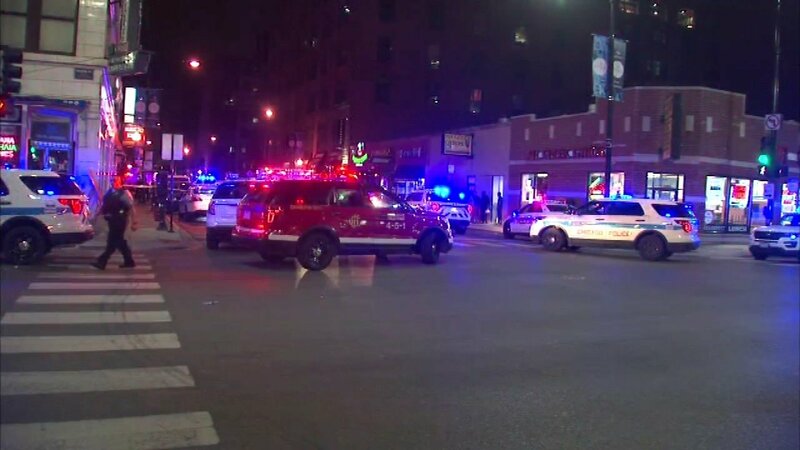 CHICAGO (WLS) -- Three people were shot inside a Greektown restaurant after a fight broke out Saturday morning, police said. The victims and the shooter were involved in a fight inside the restaurant in the 800-block of West Jackson Boulevard when shots were fired. A 31-year-old man was wounded in the chest and transported to Stroger Hospital in serious condition and a 26-year-old woman suffered a graze wound to her right foot and refused treatment at the scene. Police said the shooter, a 26-year-old man, was wounded in the left leg and transported to Stroger Hospital. Police said the 26-year-old shot himself.